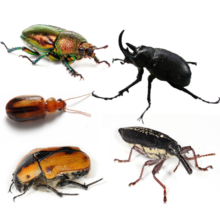 ↑ "Family-group names in Coleoptera (Insecta)" (2011). ZooKeys 88 (88): 1–972. doi:10.3897/zookeys.88.807. PMID 21594053.